What do Superman, Arnold Schwarzenegger, Batman and Michael Jordan have in common? They are all strong, muscular men who have contributed their physical strength to defeat the opposition. Sure, some of these names are cartoon characters, but people love a good, strong superhero. Most men aspire to build their bodies like these men as well. Many experts report that a strong, healthy body is 30% workout and 70% diet! Most of the body-building battle is won at the table. It can be extremely difficult for many men say no to those extra calories, but following one of these diets can really help ease the stress at the dinner table! The concept behind this particular diet involves going back to the Stone Age and eating like a caveman. Strong emphasis is placed on quality foods instead of the quantity. Since processed foods were non-existent in those days, this diet eliminates them. Fresh fruits and vegetables are important parts of a balanced diet. They provide fiber, vitamins and minerals. 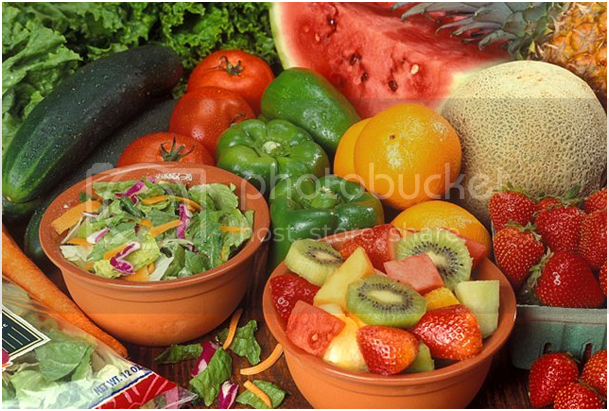 In addition to whole grains, beans, proteins and meats, fresh fruits and vegetables complete the regimen. What makes this diet very popular for men specifically is the meat that you’re allowed to eat. As long as you aren’t taking in anything processed, you’re good to go. For those who are new to the gluten-free diet, this particular regimen is often seen as difficult because of gluten is tons of wheat-based products like rye, wheat and barley. The key to success on this diet is to focus on the wonderful benefits. Lots of healthy, great-tasting foods are allowed such as fruits, vegetables, dairy, beans, meats and grains such as millet, rice and flax. This one is a little tougher for guys to follow because so many types of food have gluten in it, but like the Paleo diet, you’re free to be a carnivore. Tons of Hollywood celebrities swear by the power of the 5 Factor Diet. Created by Harley Pasternak, there is a specific cookbook to go with great exercises each user should use. The eating part focuses on including proteins (egg whites, fish, fat-free dairy), complex carbs (sweet potatoes, lentils, quinoa), good fats (salmon, olive oil) and sugarless drinks (water, coffee, tea). Although a good fit for men and women both, this diet has gained traction with men, especially since so many of the recipes are easy and quick to make. Don't worry. No one starves on this particular diet. If anything, the body thrives when natural resources are used for fuel. In addition to decreased risk of illness and terminal diseases, this diet lowers blood pressure, blood sugar, cholesterol and encourages weight loss and maintenance. This is especially appealing to men since they are the largest group affected by high cholesterol (excluding premenopausal women). It may not seem like the most macho thing to do in the world, but men shouldn't be surprised about the beauty of this program. Sure, a lot of women use it, but that's because it is effective. Because men and women may experience different difficulties when losing or maintaining weight, the company maintains a separate section of the website primarily for men. There are easily customizable tools and programs on the company website that can walk a man through his ideal fitness/diet program. These five diets have a few differences, but they all encourage a better quality of life. A car runs best when quality fuel is placed inside. A car is able to run on regular gas, but premium gas makes a major difference. The same concept applies to the body. Over-processed foods may satiate a hungry belly temporarily. However, these foods aren't best for optimal health. Your health is your wealth, so make the switch to healthier foods today and a strong body tomorrow! This guest contribution comes from Cherry Creek Medical Weight Loss. The Denver-based clinic specializes in helping people tackle weight loss and hormone therapy. Fresh veggies and fruits are absolutely great contributors when it comes to healthy diets. great information! this is something that my husband need...thanks for sharing!